Girl Scouts is the world’s largest organization of, and for, girls, with 2.3 million girl members and nearly one million volunteers! Three core structures support all these members: the national headquarters, your council, and your support team. Global Girl Scouting ensures that girls have increased awareness about the world, cross-cultural learning opportunities, and education on relevant global issues that may inspire them to take action to make the world a better place. 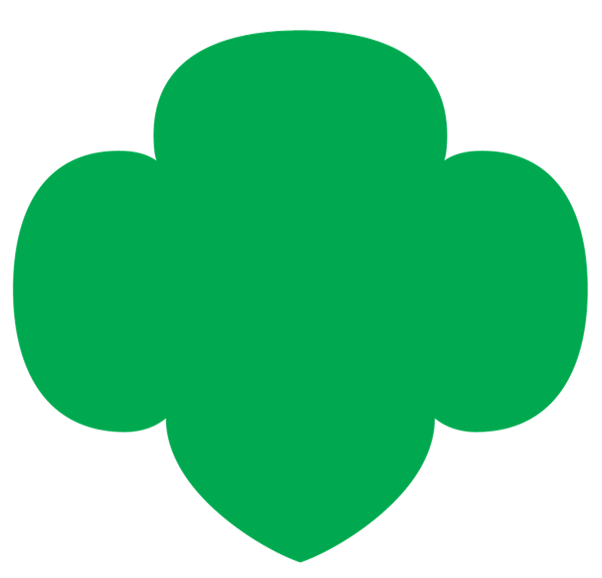 Visit Global Girl Scouting online for additional information. Since 1925, USA Girl Scouts Overseas (USAGSO), a division of Global Girl Scouting, has helped ease the transition for American families relocating overseas by offering the familiar traditions and exciting opportunities of Girl Scouting to girls abroad. USAGSO now serves thousands of American girls living overseas, as well as girls attending American or international schools. Through Global Girl Scouting, members participate in World Thinking Day on February 22, visit the four WAGGGS world centers (see the “For Travel Volunteers” appendix), participate in international travel, promote global friendship and understanding by supporting the Juliette Low World Friendship Fund, and take action on global issues. Girl Scout councils are chartered by the national office to attract and retain members in a geographic area, provide ways for girls to participate in Girl Scouting, create an environment that reflects Girl Scout values and ideals, manage volunteers’ experience with Girl Scouting, and keep girls and volunteers as safe as possible. The national office provides support materials to all councils to ensure that the Girl Scout experience is nationally consistent. Girl Scouts of Tropical Florida (GSTF), at the time serving Miami-Dade County, was originally chartered by the national organization in 1929. In 1963, the council grew through a merger with Monroe County, Florida Keys council. GSTF is a not-for-profit corporation and is incorporated under the laws of the State of Florida. Today, GSTF serves approximately 4,000 girls in Miami-Dade and Monroe Counties. Visit girlscoutsfl.org for more information on your council. GSTF is directed by a volunteer board of directors, which is composed of Girl Scout volunteers and community leaders from a cross-section of the Council. An active Board Development Committee presents a slate of candidates at each Council Annual Meeting that ensures that the total board reflects a balance representing all facets of the Council. The Board of Directors includes an officer team consisting of the chair, first vice-chair, second vice-chair, secretary, treasurer, and 14 members-at-large, two of whom are Girl Scout Seniors and/or Girl Scout Ambassadors, who serve on the board as ex officio members. The girl representatives to the board have completed or are currently working on their Gold award. A team of volunteers and staff provides you with local support, learning opportunities, and advice. As a volunteer, you will have the most contact with your Girl Scout support team, called a Community. Never hesitate to contact them, because your support team will guide and assist you in all things Girl Scouting. If you have questions about the Girl Scout program, working with girls, resources in the National Program Portfolio (National Leadership Journeys and The Girl’s Guide to Girl Scouting), or selling Girl Scout cookies and other products, go to your team for answers and ongoing support. Additional support is offered by our Troop Support Team.